Foreign direct investment (FDI) is a key economic driver for both developing and advanced economies. Direct investments promote the transfer of technology and know-how, thereby increasing productivity. German industry, which is heavily export oriented and globally positioned, has always actively sought to invest in foreign markets and attract FDI. This is especially true with regard to China. For more than two decades, China has been a central destination for German FDI. Around the years 2014 and 2015, we witnessed the start of a new era of Chinese companies going global. Since then, Germany has become an important destination for Chinese FDI, mostly in the form of shareholdings or full acquisitions. 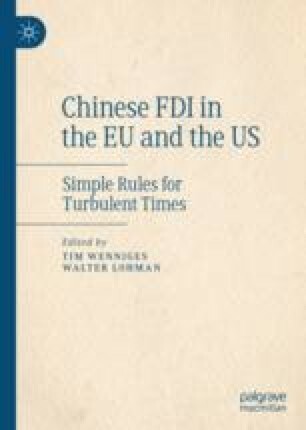 But if this new era of Chinese outward FDI is to be as successful as the old one of German inward FDI, we need the right framework conditions—not least given political developments in China in recent years. The hope for an alignment of economic systems—the thesis of “change through trade”—has become a distant prospect. Indeed, we are already locked in systemic competition with China. That competition must be taken into account in the current debate on how we conduct our investment relationship with China in the future.